Members of Hollywood’s elite have banded together to urge Georgia Gov. 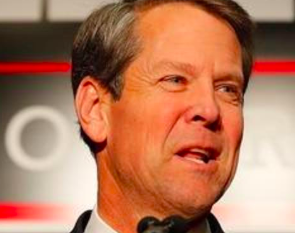 Brian Kemp to veto the state’s controversial “heartbeat bill,” a piece of legislation that would effectively prohibit women from seeking an abortion after six weeks of pregnancy. Meanwhile, the governors of Pennsylvania and New Jersey have jumped at the opportunity to lure Georgia’s entertainment business by advertising their own tax incentives and pro-abortion rights laws. Movies and television are big business for Georgia, which rolled out a series of tax incentives in 2008 to lure Hollywood to the state. After California and New York, Georgia is now often listed as the number three production center. A 2016 study from Film L.A. found that 17 of the top 100 movies that year were filmed in Georgia. At an event in March, Kemp said the entertainment industry employs 200,000 Georgians and generated more than $60 billion of economic activities for the state. See more at CBS News.